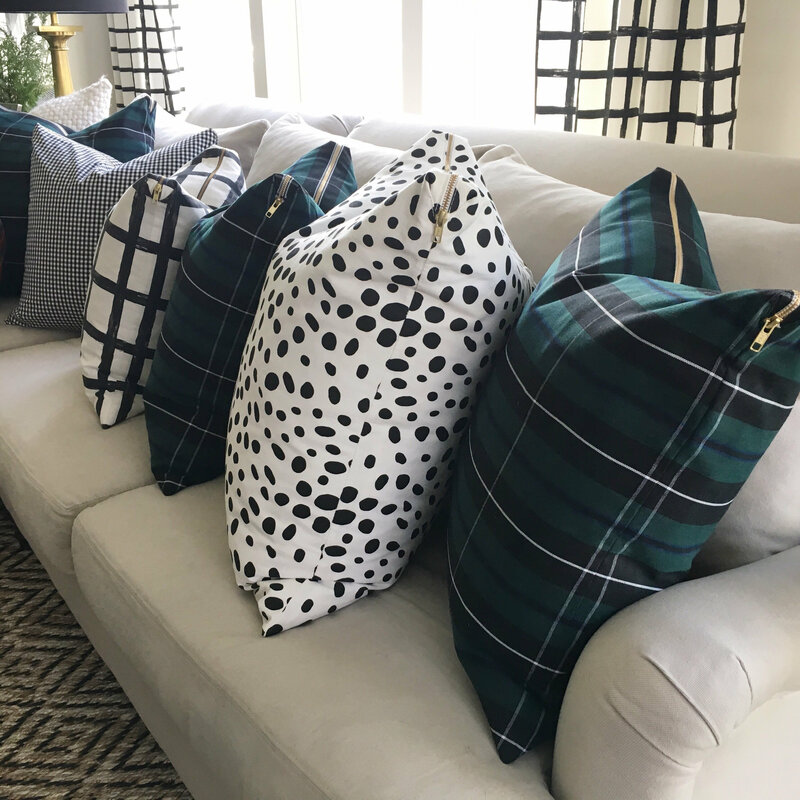 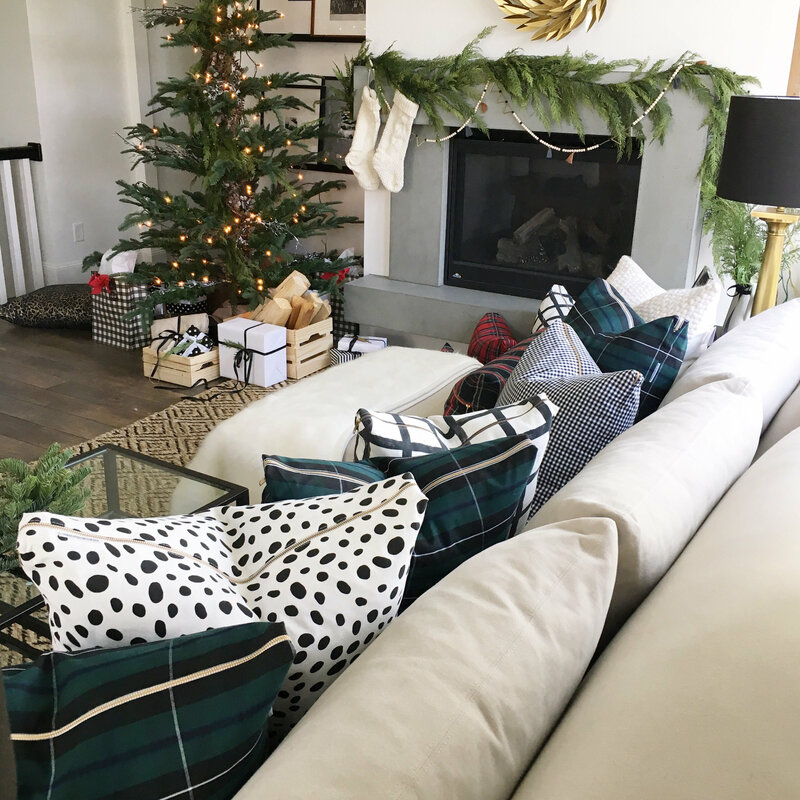 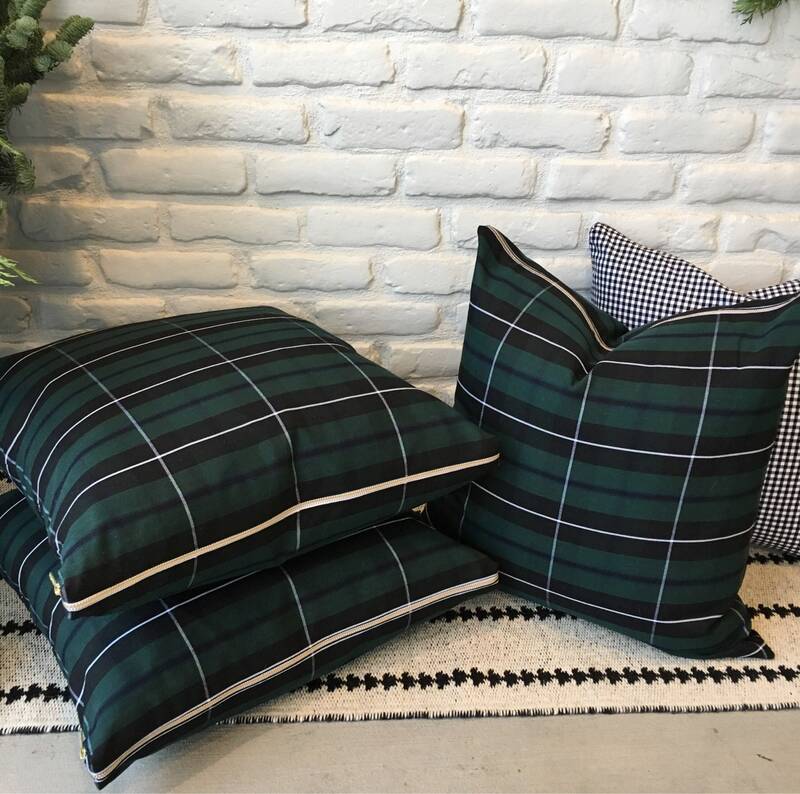 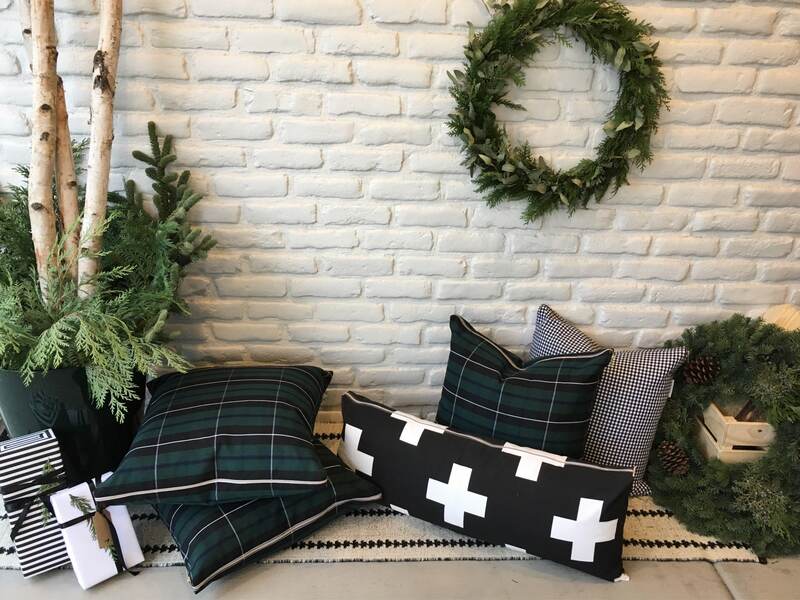 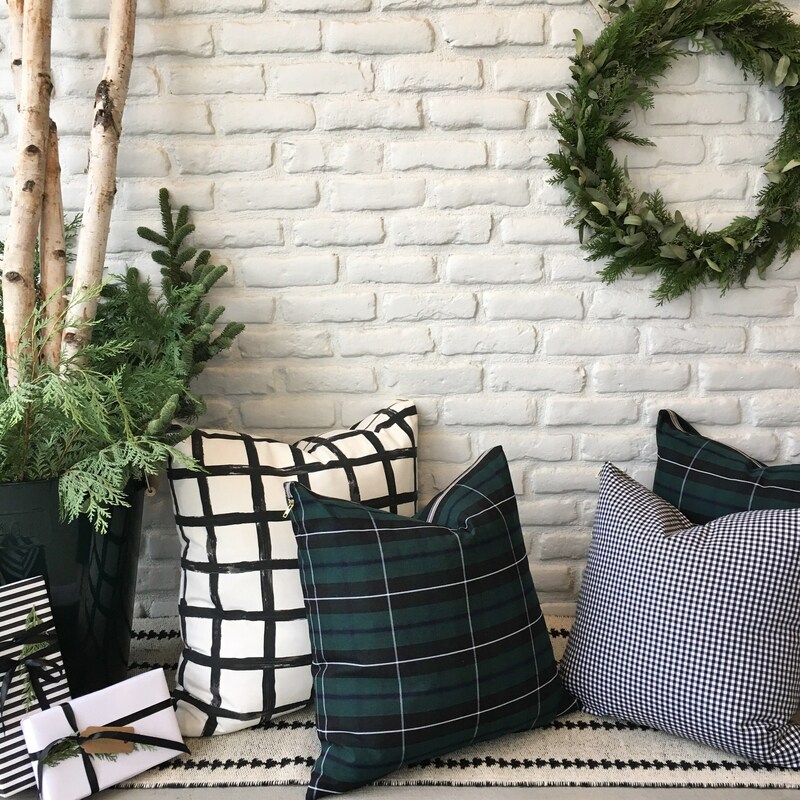 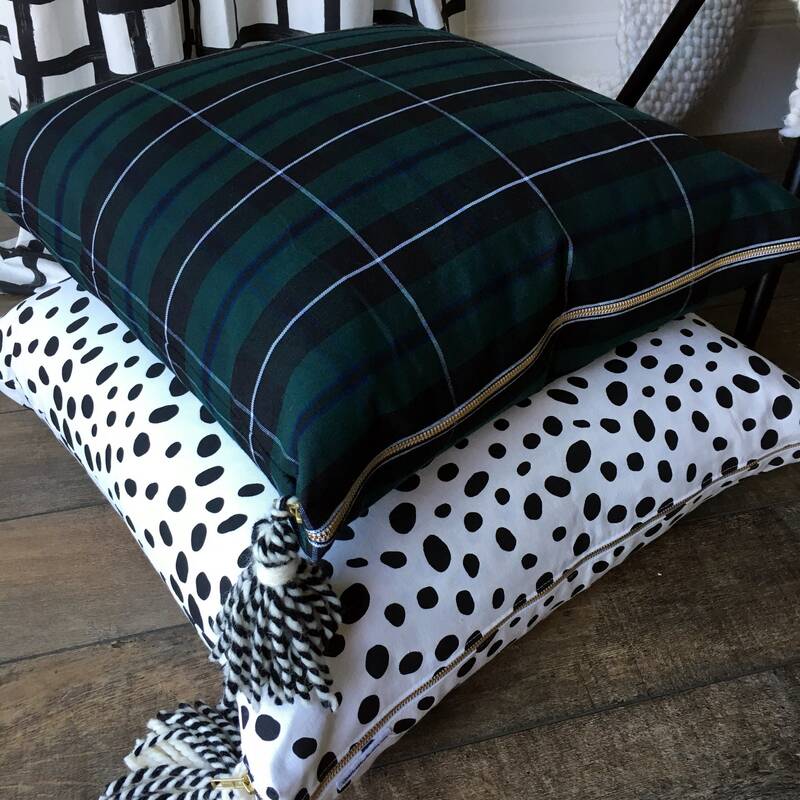 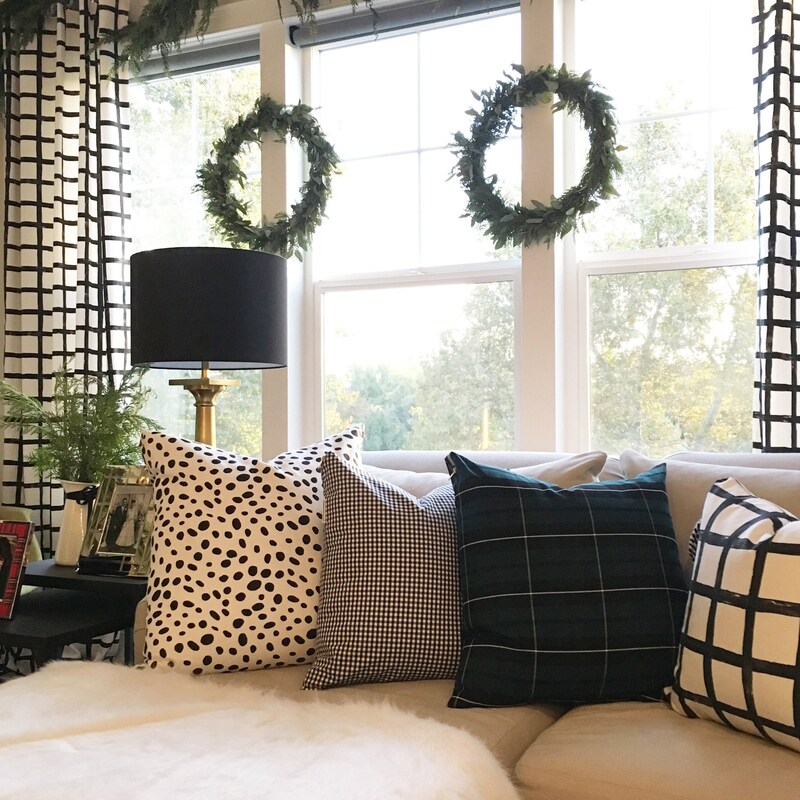 This masculine, Forest Green Tartan Plaid Pillow Cover with a large white windowpane pattern, brings a crisp festive look with the comfort of tradition to your home. 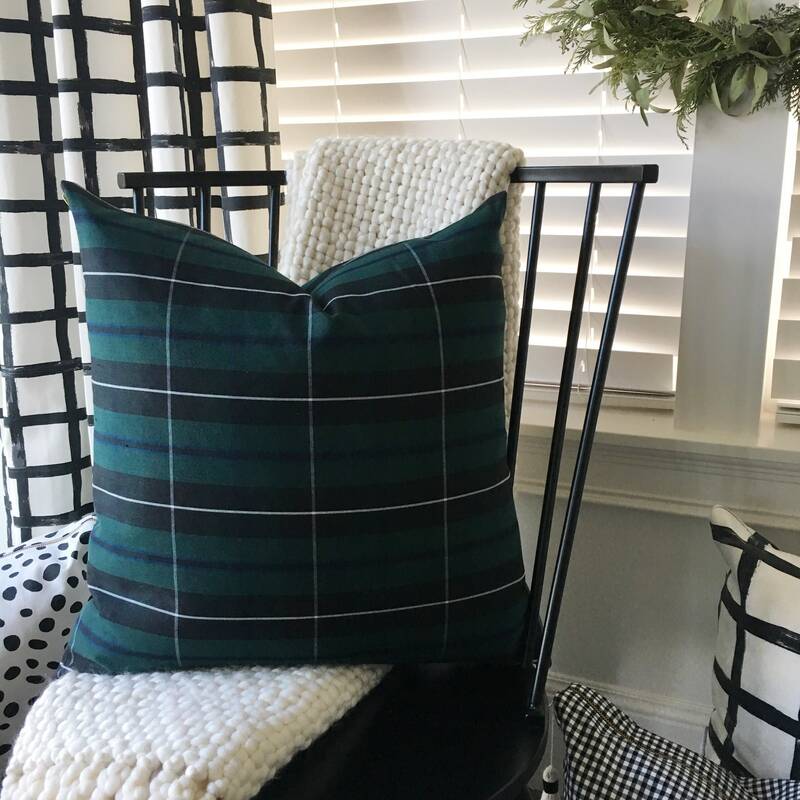 The forest green tones are accentuated by a black, navy, and white patterned weave. 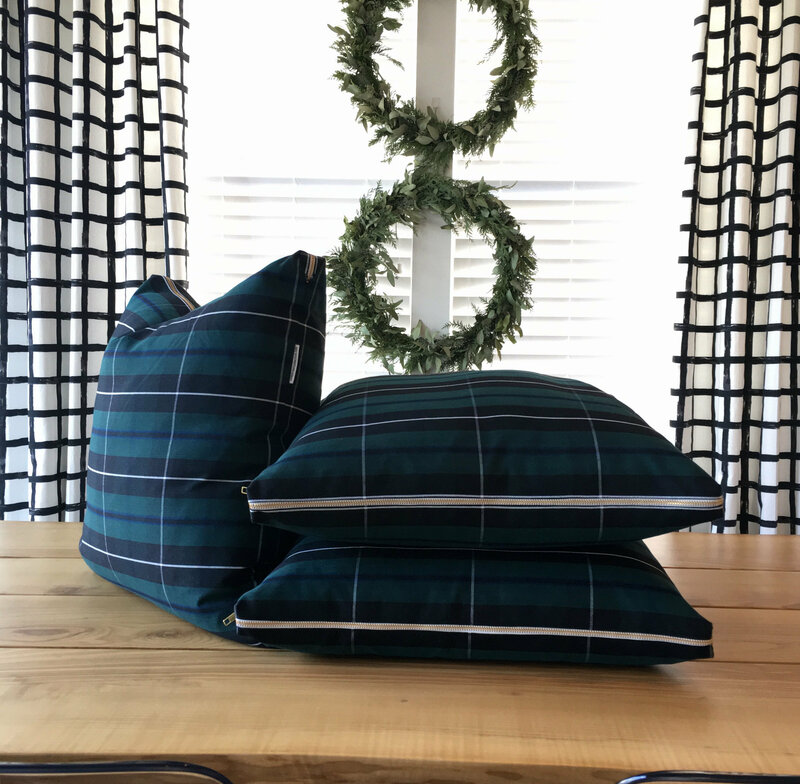 A Vine Street Collective trademark, the chunky brass and white zipper adds a fresh modern edge to a year-round classic tartan. 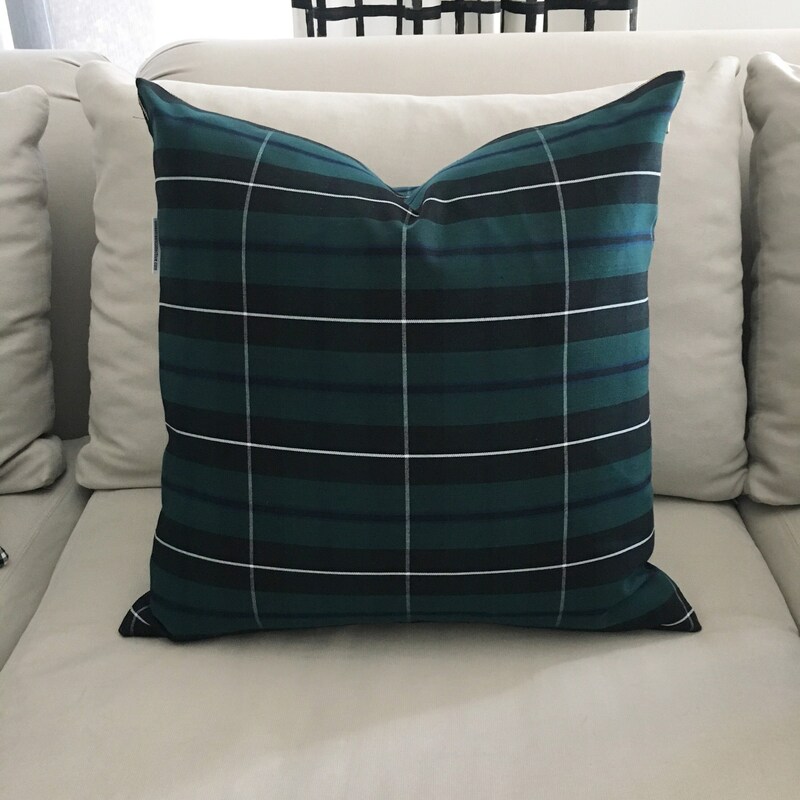 - Available sizes: 20"x20", 22"x22" (pictured), and 26"x26"